The weekend officially marked the beginning of garden season. Yes, it's a real season ... well, to me it is. It may be a cold, dreary winter day outside, but thoughts of warm weather are alive and well inside. 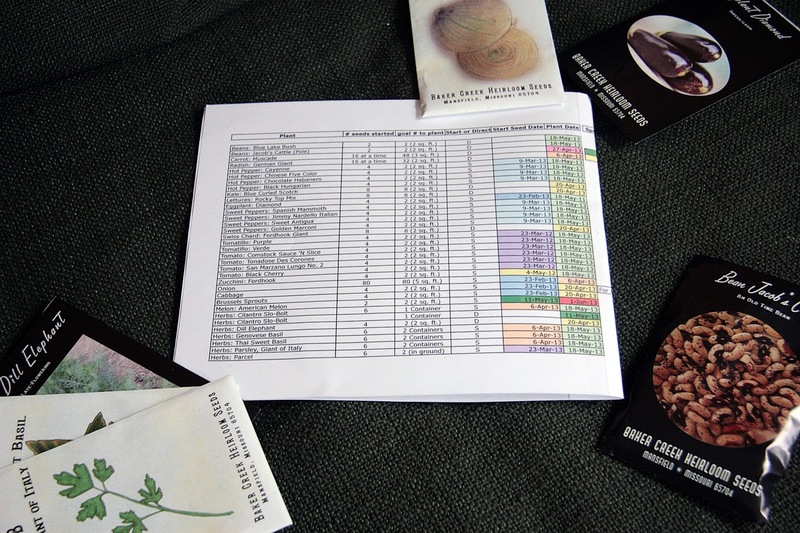 Leading up to this day I consulted gardening resources, flipped back and forth in the calendar counting days, made lists and even created a detailed, color-coded spreadsheet. Seriously, who doesn't like a nice spreadsheet? Between you and me when it comes this gardening stuff I still feel like I have no idea what I'm doing, but this spreadsheet makes it look otherwise. What was on tap for the "kick-off" weekend? Onions, eggplant, cabbage and Brussels sprouts. In a couple of weeks it'll be time for the peppers to get their start, followed by the tomatoes and tomatillos a couple of weeks later. Oh, I'm giddy with anticipation. I still find it all so exciting. I have a huge plan for this year. Of course whether or not all my vegetable garden dreams come true depends on my skill, the weather, and a whole lotta luck. I am determined to not have a repeat of the great seedling disaster of 2012. Yeah, last year I forgot to water the little babies and they never fully recovered. I know it looks like a lot, but I only grow a few plants of each item. While most things grow in my heavily guarded raised beds, I decided this year to throw things like onions and quinoa in a few empty flower beds. They aren't typically on the menu of the local critters so I figure why not use the empty space for edibles. What are your garden plans for 2013? What are you growing?